I used my Cricut Mini to cut this along with the Craft Room Basics and Indie Art Cartridges. I cut the butterflies out in four different colors/layers and then put them together with some adhesive and c curled the wings a little so that you could see the different colors. I added all of the pieces into the shadowbox frame (that I got at Hobby Lobby) with foam adhesive so that there is quite a bit of dimension in the piece. The pattern paper I used is from Echo Park and the ribbon is from Stampin' Up! I used a variety of cardstock from my scrap pile and the "LIVE in the moement" sticker is from SRM Stickers. I will share my other project that was published in issue with you all soon....if you have a copy of the June 2012 issue, you can take a sneak peek on page 22 to see my other project. I also wanted to share with you all that Provo Craft has let the Cricut Circle design team go and so I am no longer a designer with them. It was really fun to join them over this last year and I am so thankful for the opportunity I had to share my Cricut projcts with the Circle members. 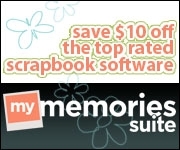 It was awesome to design along side some of the most talented designers in the scrapbooking industry. I still plan on designing with my Cricut machines and so I hope you will continue to visit. Thanks for stopping by!! Love the shadow box. What a great gift idea. Thanks for sharing. That is so adorable, Amy! I love the bright colors and all of the layers on the butterflies! Hopefully my box from the magazine comes soon so I can see this in the magazine! Amy ~ CONGRATS!!!! I LOVE this shadowbox! The butterflies are GORGEOUS and the papers are so bright and cheerful!!! BEAUTIFUL box!!! OMG! This is STUNNING!!!! I love the colors and butterflies....thanks for reminding me about those butterflies! YOU ARE AWESOME!!!! So darling Amy and I "pinned" it so that I can use it for inspiration. love the bright colors and all the layers, amy!!! fabulous shadow box. 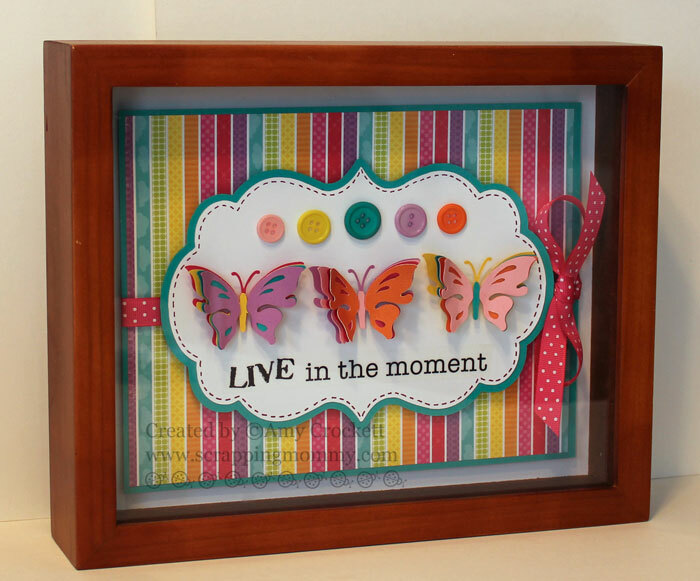 I love how you layered the butterflies and added all the dimension. Your colors are so fun too. Great piece. WOW!!! This is just BEAUTIFUL!!! It would go great in my scrapbook room ;) I just love the colors!!! And the butterflies are so beautiful! Wow! What a great gift this would make, so pretty. I love what you create so I will continue to check in! What a great shadowbox!! I was a member of the Circle and I will miss your fantastic creativity. I was so lucky to be able to enjoy your art and the entire DTs projects. I look forward to visiting your blog and continuing to be inspired by all your future ideas! congrats on getting published!!!! 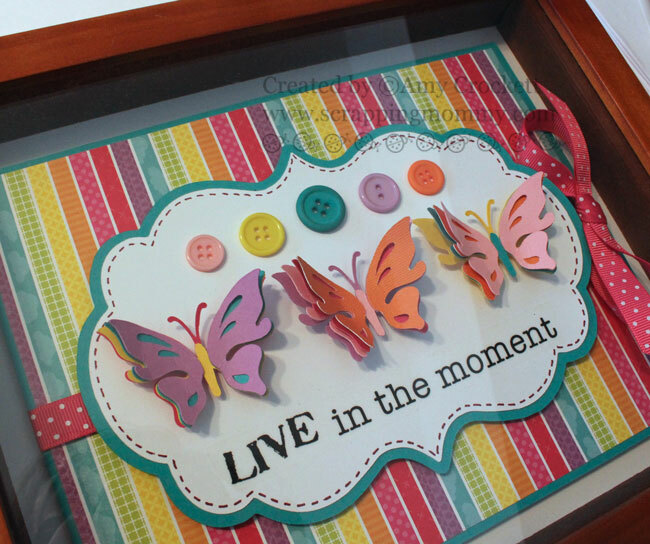 love your shadowbox those butterflies are adorable! This is such a great idea! I didn't get to see it in the magazine, so thanks for sharing it here! love this! butterflies are my favorite!! love how you layered them using different colors! awesome!! This is beautiful, cheerful, and inspiring! I have seen this project before! Congratulations on being published!